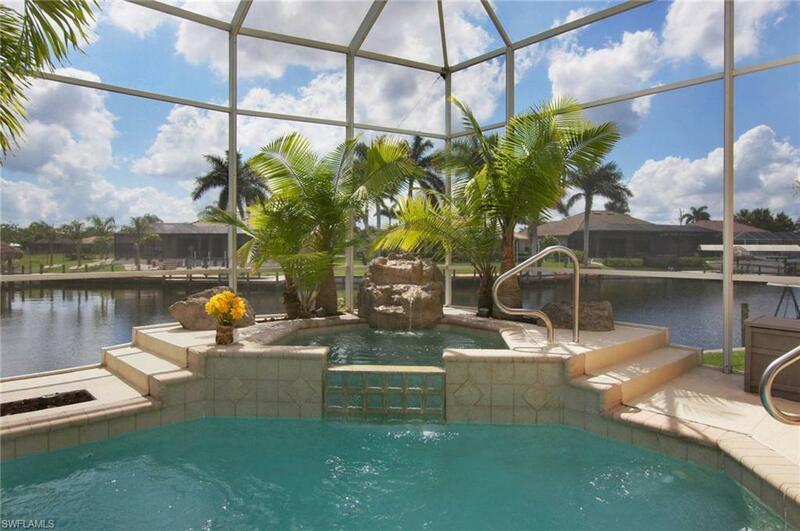 5203 SW 23rd Ave, Cape Coral, FL 33914 (MLS #218046805) :: Clausen Properties, Inc. This is a VACATION RENTAL only. Owner will not consider an annual rental. Weekly rentals permitted. 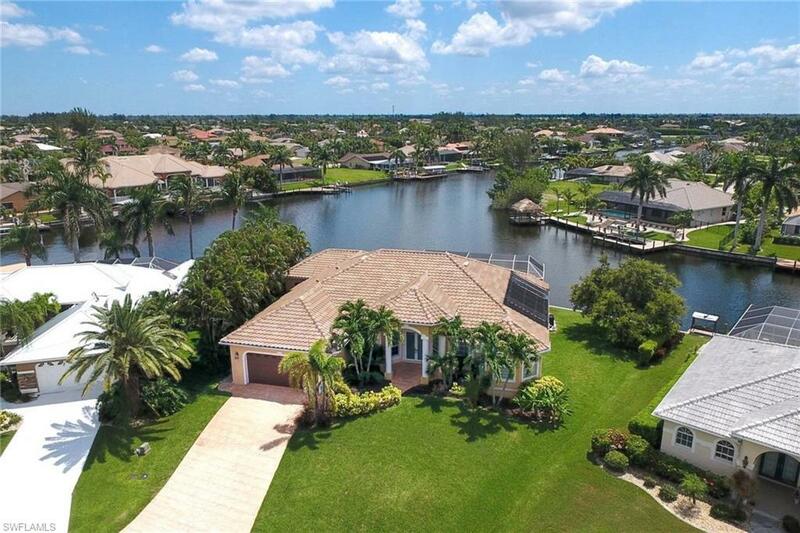 Villa Leigh has a great curb appeal with its tropical landscaping at this peaceful SW Cape Coral location on a wide intersecting canal with access to the Gulf of Mexico. This beautiful 4 bedroom, 3.5 bath home has a split floor plan on 3,127 sq.ft living space. Conveniently located, it takes only a short 5 minute drive to reach a shopping center, pharmacies, postal services, banks, a walk-in doctor's office & a variety of restaurants, bars and the Cape Harbor Luxury Yacht Marina with its well known boutiques, bars and restaurants. 3 local golf courses & the Sun-Splash water park are about 15-20 minutes away. Upon entering Villa Leigh you will recognize the high ceilings & the calming wall colors as well as the open concept with a large living room, kitchen and dining area. For relaxed indoor hours you will feel at ease in the comfortable furnished living room. The fully equipped, impressive kitchen includes modern stainless-steel appliances. There is a den with a desk & sleeper couch which makes this home perfect for 2 large families or friends as this villa sleeps 8+2 persons.